What’s the Best Boiler in 2019? Whether your old boiler is no longer working or you’re looking to upgrade to cut fuel costs or switch to a more economic model, choosing a new boiler can seem a lot like pulling teeth. With hundreds of options available in every price category, multiple types of boilers, and pricing that ranges from just over £350 to more than 10 times that, making a good decision is overly complex and confusing at best. Luckily, you can narrow your options down based on your home, budget, and where you live and then choose based on factors like cost, value, and warranty. While there are dozens of boiler models in every category, there is no one-size-fits-all solution. The best boiler is the one that best fits your specific needs and budget – while offering quality and durability for your money. In this guide, we’ll cover the best boiler brands available in the UK, the best options in each major category, and offer some advice on how to choose the best option for your home. And, of course, we’ll try to save you some money along the way. 11 What Makes a Boiler ‘Best’ For Your Home? Choosing a good boiler starts with choosing a great brand. While brand isn’t the only consideration, it’s important to understand which brands offer quality and durability. Worcester, a Bosch Group Brand, commonly known as Worcester Bosch, is one of the most popular boiler manufacturers in the UK. The company offers long warranties ranging from 5-10 years, high efficiency ratings, and quality. However, with one of the highest price points available, Worcester Bosch is not right for everyone. Idea is a mid-range brand offering warranties extending between 2 and 10 years, with a price-point generally about 15% below that of Worcester Bosch. However, with the option to choose your warranty, excellent support, and similar brand-recognition to other major brands, Ideal is a strong option for many if you need a Combi or oil boiler. Vaillant is one of the largest boiler manufacturers in the UK, with a similar price point and service offering to Worcester Bosch. The company has their own service team boiler repair and maintenance, offers a 2, 3, or 5-year warranty, and have options ranging in price from £670 – £1,500, making them one of the cheaper premium brands. Unfortunately, with a warranty on par with budget solutions like Glow Worm and models averaging at just under 90% efficiency rather than over, the brand is not perfect. Potterton is a mid-range brand in the same price and quality category as Ideal, and offers a warranty ranging from 2 years to 10. Baxi owns Potterton, but also manufactures under their own name. With some of the highest efficiency ratings on the market, a 7-10 year warranty, and pricing just below Worcester Bosch, Baxi should be a top choice for most. Glow Worm is one of the best budget boiler brands in the UK. With pricing starting at around £650 for a combi boiler and most models averaging under £1,000, Glow Worm boilers are a best fit for low-cost projects and are a common solution for flats, social housing, and grant-assisted installations. However, with warranties extending from 2-5 years, Glow Worm does not provide the best long-term security. Comparing brands makes it easier to see what each brand is offering for the money. For example, if you’re just looking at warranty and cost, you can see that some brands offer a significantly longer warranty, even at a lower price points– which can make them more attractive if you’re trying to find one boiler that will last for years to come. Potterton and Worcester clearly stand out with the longest base warranties, while Baxi, Potterton, and Glow Worm typically offer the lowest costs. However, you also have to choose boilers based on models and the type you need. Most boiler installers offer combination, oil, conventional, and system boilers. You can also choose wood and biofuel boilers, but with less demand, most installers will have one or two choices at most. Combination boilers are the most common solution in the UK, and therefore the most likely to be a good solution for you. Combination boilers or combi boilers now account for more than half of all new boiler installations in the UK. These models are all-in-one, combining water heating and central heating for radiators into one compact unit – allowing you to save space and on installation costs. Combi boilers heat water from the mains as you use it, which also saves space and costs over installing and heating a large tank. Nearly every major boiler manufacturer offers at least a few different combi boiler models. However, they don’t work well for homes with more than one bathroom or for very large homes. The Worcester Greenstar I is Worcester’s latest in their popular Greenstar line and one of the most advanced models yet. The Greenstar I features a magnetic flap cover for easy repairs, a graphic display, and is an award winning model, found in 1 million + homes around the EU and UK. With 94% efficiency, flow rates of up to 12.3 litres per minute for the 30kw model, and wall-mount and rear piping included standard, the Worcester Greenstar I also stands out as an economic and smart choice for anyone with a small home or a flat. The Vaillant EcoTec Plus 831 is one of the most popular boilers in the UK. With a standard 5-year warranty, central heating output of up to 110,000 BTU, and a flow rate of 12.7 with the 31Kw model, the EcoTec Plus is powerful and flexible. The model is ideal for mid-size homes such as 2-3-bedroom houses and large apartments and at 91.1% efficiency, is SEDBUK A rated. Why is it one of the best?In addition to one of the best efficiency ratings out there and a price range starting at £200 less than Worcester-Bosch, Vaillant offers a great warranty and top-of-the-line digital technology. At 36 Kg and 72 x 44 x 33 cm in size, the EcoTec Plus 831 is lightweight and space-saving. It also features AquaComfort hot water on demand for added convenience. With a flow rate of 16.4 litres per minute and a 10-year warranty, the Ideal Vogue is undoubtedly one of the strongest boilers on the market. Its 10-year warranty, low cost, and variable sizing (26 kw to 40kw – suitable for 3-5 bedrooms, or up to 26 radiators) also make it one of the best values out there, with prices starting at £943 for the smallest model. The Ideal Vogue also features a clear LCD display with fault and error log, easy maintenance, and a lightweight frame suitable for hanging on most walls. What’s the catch? At 89.10% efficiency, the Vogue is on the lower end of the efficiency scale, but still A rated. At 88.6% efficiency, the Baxi Platinum Combi is the lowest efficiency combi boiler on the best of list, but with prices starting at £883.2, a no-frills approach to hot water (no touch screens or complex programming) and a 10-year warranty the Baxi Platinum definitely has its appeal and a host of loyal users. Why is it great? Easy to use controls, a maximum flow rate of 16.4 litres per minute, and built in thermostat and frost management make this an ideal option to fit into attics and garages – completely out of the way. It’s also one of the lowest-cost per output models available, with one of the most impressive warranties. Glow Worm is one of the most popular budget boiler manufacturers in the UK, and while you can tell the Flexicom is a budget model in some respects (for example the 2-year warranty), it holds up exceptionally well in nearly all other respects. The Flexicom is available in sizes ranging from 24kW to 35 kW with an output of 9.85 liters per minute to 14.4 liters per minute. With an average efficiency of 90%, Glow Worm also stands out above competition like Baxi and Ideal in terms of energy savings. How do each of these top boilers hold up against each other? We’ve compared the basic specs so you can judge for yourself. Keep in mind that specs like flow and actual energy usage will sometimes change based on the size of the model. Here, the Ideal Vogue and the Baxi Platinum stand out with longer warranties and a lower price range than more well-known brands like Worcester and Vaillant. However, with each offering different capabilities and support, it’s important to consider your specific needs when choosing a model. Conventional boilers or heat-only boilers are ideal for areas with a traditional heating system already installed, where it is more cost-effective to connect to existing pipelines and tanks. Conventional boilers need a cold-water tank to supply the cylinder but are ideal in larger homes and with older radiator systems. Conventional boilers are an extremely popular choice for larger homes, those with solar water heating installed, and those with older pipelines and no budget to update. With a 91.2% efficiency rating, gas or LPG support, and an up-to 7-year warranty, the Ideal Logic Heat-Only boiler is one of the most popular and best-value system boilers in the UK. The system comes in sizes ranging from 12kW to 30kW capable of modulating down to 4.8kW to save energy. Ideal’s Logic Heat Only offers up to 14.5 litres per minute. Worcester’s Greenstar boiler is the most popular and efficient premium model available in the UK, and one of the most highly recommended by installers. The model is available in sizes ranging from 12kW to 24kW with quick-install (installs can take as little as 3-4 hours), and a low-profile size (69 cm x 39cm x 27cm) ideal for fitting into most kitchen cabinets. With pricing starting from £759.15, it’s also one of the most cost-effective Worcester-Bosch models available, but that is noticeable in the form of a warranty reduced to 5 years instead of their standard 7-10. The Vaillant EcoTec Plus Heat Only offers a combination of value and versatility, with 89.2% efficiency, 2-stage efficiency, and a 7-year warranty (5-year if not installed by a Vaillant Advance Installer). The model offers easy-to-use controls and compatibility with all Vaillant controls, a small size (60 x 37 x 34) and built-in output modulation to ensure you aren’t using more energy than necessary. The Potterton Promax SL is one of the most popular regular boilers in the UK, offering 86.4% (B rated) to 91.1% (A rated) efficiency depending on model and size. The ProMax is a slim heat-only boiler, measuring just 60x39x28 cm, ideal for small homes and flats. With a standard 7-10-year warranty and pricing starting at just £560.7 for the 12Kw model, it’s also one of the best deals available. Be careful shopping. Older models of the Potterton Promax SL are still on the market, and some of the larger models are B rated. Check what you’re getting before paying for installation. With a 5-year warranty, four size options ranging from 19 to 35kW, and an average efficiency rating of 97% (one of the highest on the market and the highest in its price range) the Viessmann Vitodens Open Vent 100W definitely stands out as one of your top options. However, with pricing starting an average of £200 higher than most competing models, you are paying for that extra 6% in gained efficiency. The Viessmann Vitodens Open Vent also offers Viessmann’s unique corrosion-resistant heat-exchanger with an independent 10-year warranty. Which one is right for you? While your option will likely depend on local installers and what’s available, you should compare models and decide which makes the most sense for your home. With fewer options available, you may have to shop around to be able to find the specific boiler you’re looking for. For this reason, you should consider waiting to make a choice until you see what your ideal installers can offer. System boilers are all-in-one systems, with the heating components built into the boiler tank. This makes installation faster and easier, and can save you on costs over purchasing all equipment separately. System boilers are an ideal solution for larger homes and those with a high hot-water demand. System boilers are a strong and cost-effective solution for larger homes, and ideal as an alternative to combi boilers. With a digital display, fault code diagnostics, and a low-profile size ideal for fitting into kitchen cabinets, the Ideal Logic System is cost-effective, high-quality, and offers a good value. While you can upgrade to the Logic + for an increased parts warranty, the Logic System features up to 7-years standard warranty, 15kW to 30kW size-range, and up to 91% efficiency. Worcester’s Greenstar System is an award-winning system boiler featuring a 12-30kW output, 5-year warranty, and impressive 94% efficiency. With prices averaging at £824 for a 12kW model, it’s far from the cheapest option on the market, but installing through a Worcester-Bosch accredited installer will net you an additional 3-years on the warranty. The Vaillant EcoTec Plus 600 is one of the best rated and most recommended system boilers in the UK – both by consumers and installers. The system features easy-install with an impressive 10-year guarantee, 15.9 liters per minute, and 89.3% efficiency. At 72x34x37, the EcoTec Plus will not fit into the standard kitchen. Potterton’s Promax HE system boiler comes in 5 sizes ranging from 12kW to 32kW, supports gas or LPG, and typically features a 10-year warranty (although you may receive a 12-24-month warranty depending on installer). The model offers 89% efficiency with flue options up to 20 meters for easier installation. While the standard 2-year warranty may be a turn-off for some, the Glow Worm Ultracom2 SXi has a lot to offer in terms of features, efficiency, and size. The model is available ranging from 12kW to 30kW, 90% efficiency, and an average flow rate of 12.5 liters per minute. While the 12kW model is not a bargain, the 30kW costs an average of £857 + installation costs, making it the cheapest option in its class. With plenty of models to choose from, it’s important that you review your budget, needs, and home requirements to choose a system boiler that meets your needs. Choosing the best option usually depends on your specific capacity needs and budget. The Potterton Promax offers the highest capacity and longest warranty for the lowest price. In some cases, you may be looking for boilers in other fuel types, such as oil or biomass. These are typically available in the same boiler types (combi, system, etc. ), but will generally cost more because demand is lower. What Makes a Boiler ‘Best’ For Your Home? Even this greatly shortened ‘best boilers’ list still includes numerous models. How do you choose the best solution for your home? There are a lot of factors that should come into play, including size, volume, type, and other details. Costs are important, but you should consider value as more so. If you can balance costs with a good warranty and quality hardware, your boiler will last for a decade or more. You also want to look at efficiency. You can typically save money by choosing a lower-efficiency solution, but the higher the efficiency, the more you’ll save. For example, Vaillant models are often the least efficient of any choice you have, hovering just under 90% efficiency, while most competitors are over. How much will you save? That depends on your home, hot water usage, heating, and boiler type – but it will also benefit the environment. In most cases, boiler hardware costs are only 30-60% of total costs. You still have to factor in installation, removal of the old boiler where applicable, repairs, installing pipes, and so on. 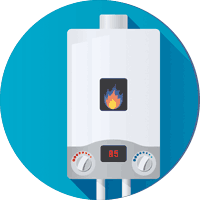 This can cost as much as or considerably more than the original boiler – so keep it in mind, especially when choosing to change your boiler type. Some boilers are listed as either wall mount or standing. Wall mount boilers are considered more convenient, because you can hang them and fit them into smaller spaces. However, any boiler with a tank exceeding 100l cannot be hung. Mount or standing type does not typically affect cost so, if you can hang your boiler, it’s probably the better solution. Warranty and guarantees are one of the most important factors, because they represent how long your boiler is guaranteed to last. 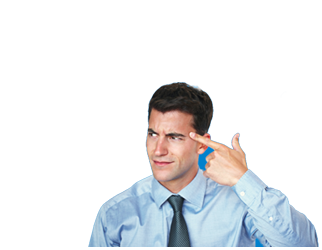 If you have a full 10-year warranty, you know that spending 2,000 euros on a new boiler will cover you for at least a decade. In most cases, you’ll pay more for well-guaranteed models upfront, but it will pay off in the long-term, especially if the hardware fails and you have to replace it. In most cases, you’ll have to talk with an installer to calculate your specific home needs including size or volume, pressure requirements, controls, flow rate, and so on. Not all of this data is immediately available to consumers so you will have to ask a consumer, or go to the manufacturer’s website for specific models you’re considering. If you need a specific fuel type, you’ll also have to consider that. Getting the best boiler for your home means choosing a model that suits your needs, fits your budget, and offers as much value as possible for the money. That means comparing finding models that suit your technical requirements and comparing them to get a good deal. 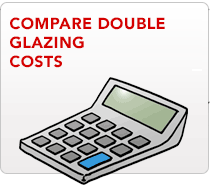 You can also save a great deal by comparing installers, checking the pros and cons of using local vs. national installers, and requesting quotes to cut costs. For example, national installers typically offer better guarantees and may increase the warranty of manufacturer guarantee. For example, working with Viessmann’s approved installers increases your total warranty by 2 years. No matter what kind of boiler you’re planning to install, you can save on costs by checking your options and comparing available installers. And, we can help. Our free tool will help you request quotes from local top-rated installers offering boilers that meet your home and size requirements. Did You Know There Are Over 3000 boiler Installers in the UK? - Finding The Lowest Price is Tough Without Expert Knowledge. Use Our Smart Service To Compare The Best Quotes & Save 47% Today! Click Your Area to Start. Who Else Wants To Save 47% on a Boiler?